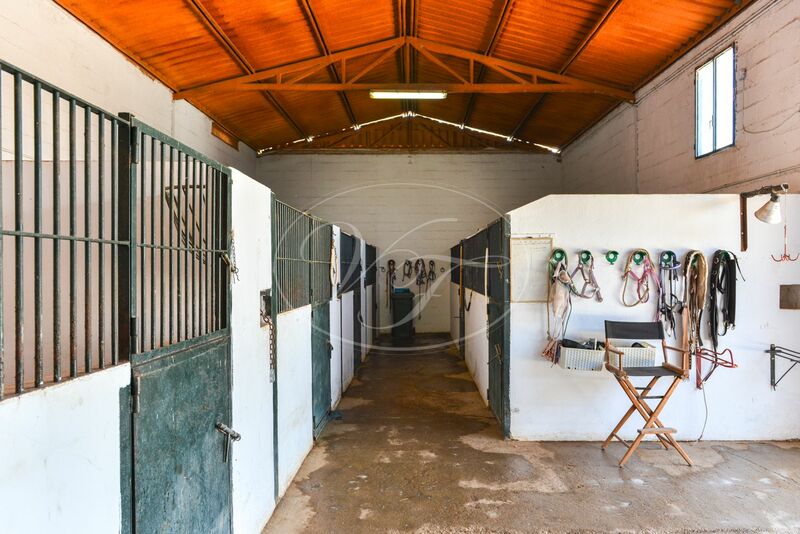 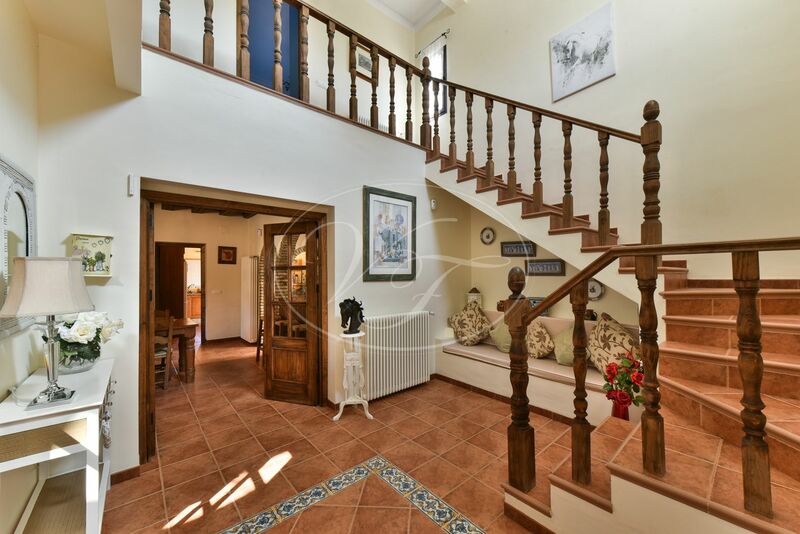 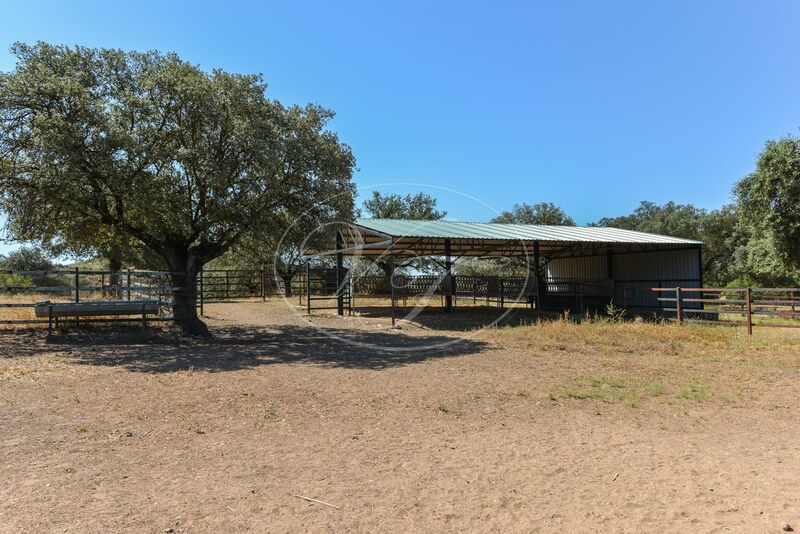 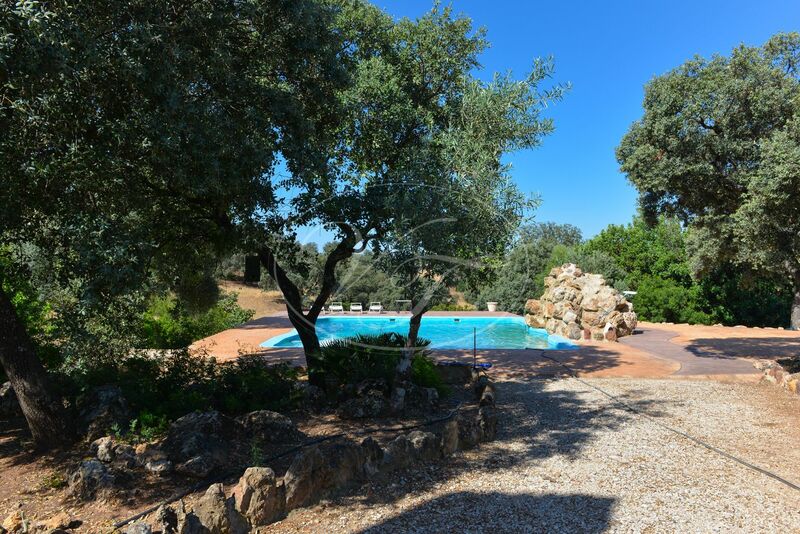 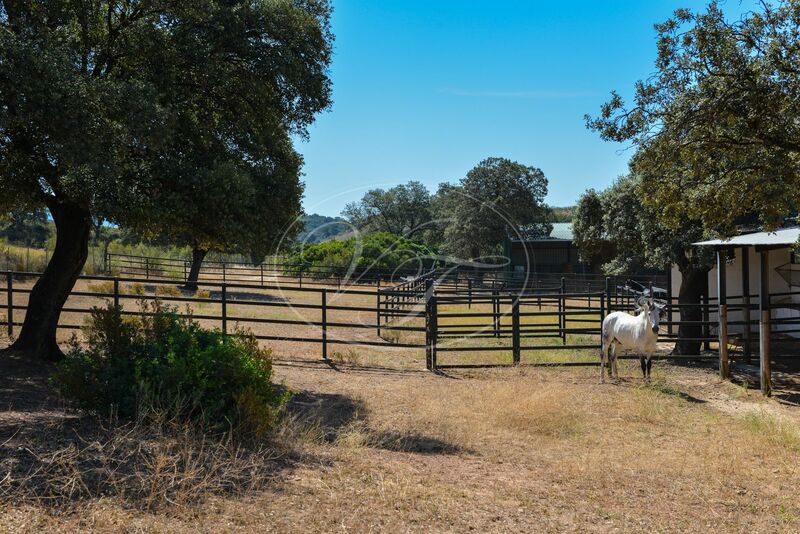 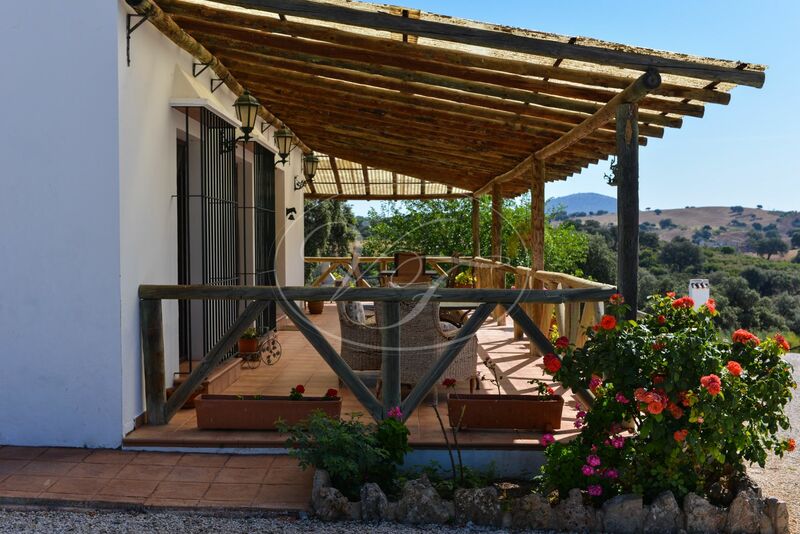 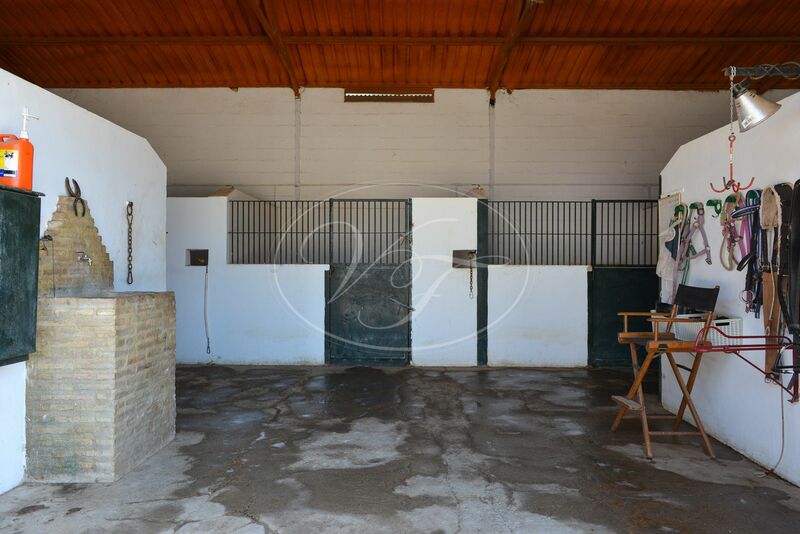 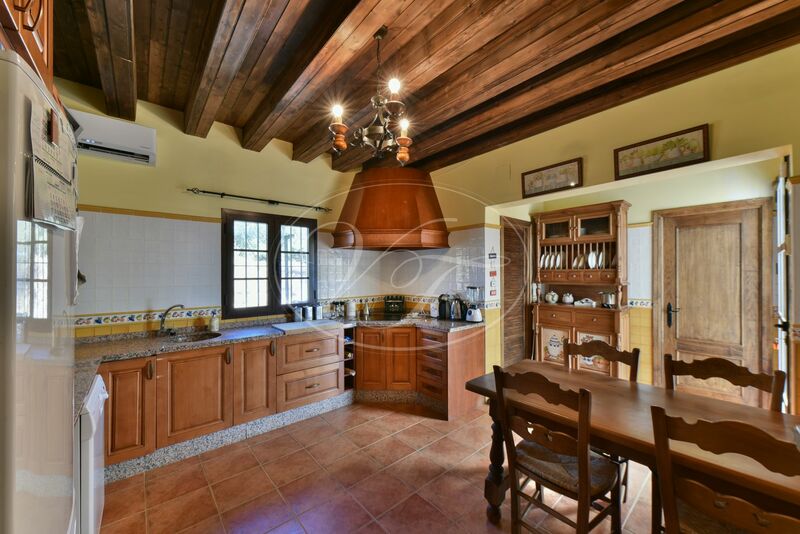 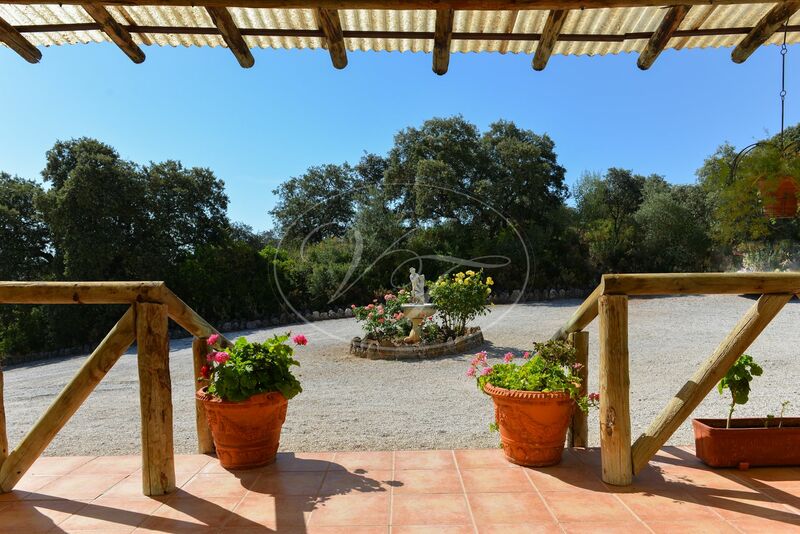 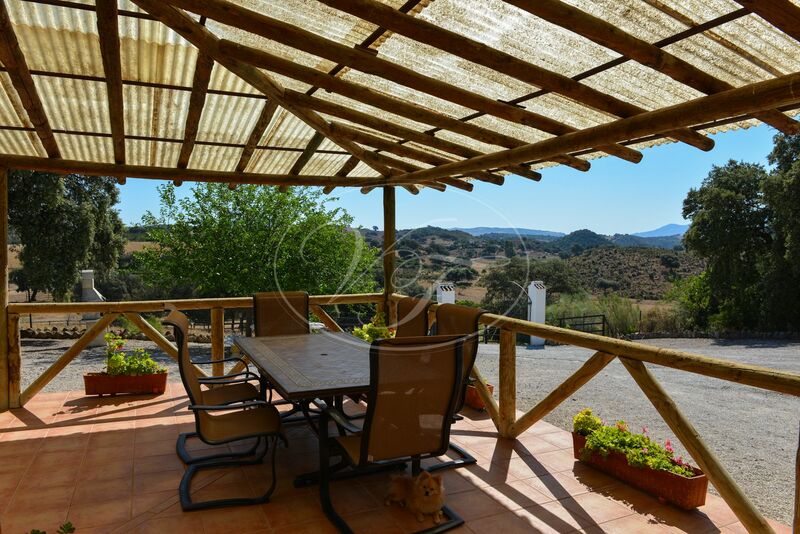 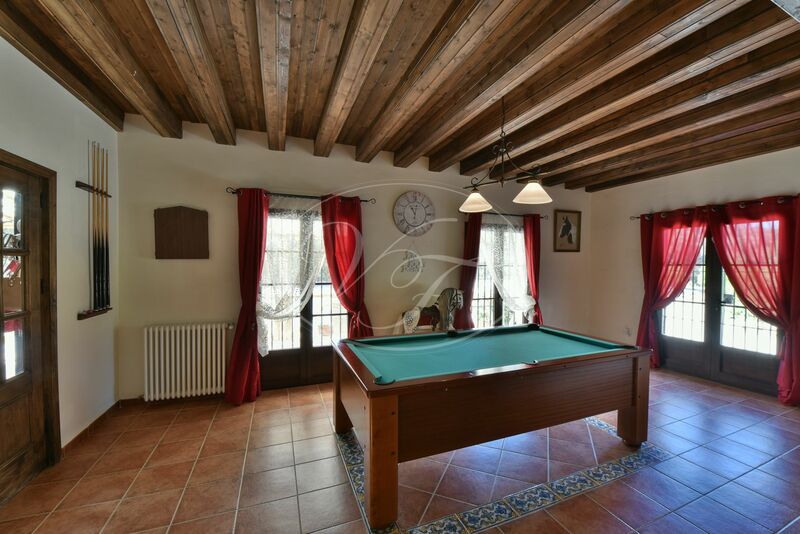 Rustic finca with equestrian facilities in Moron de la Frontera, Sevilla, Andalusia. 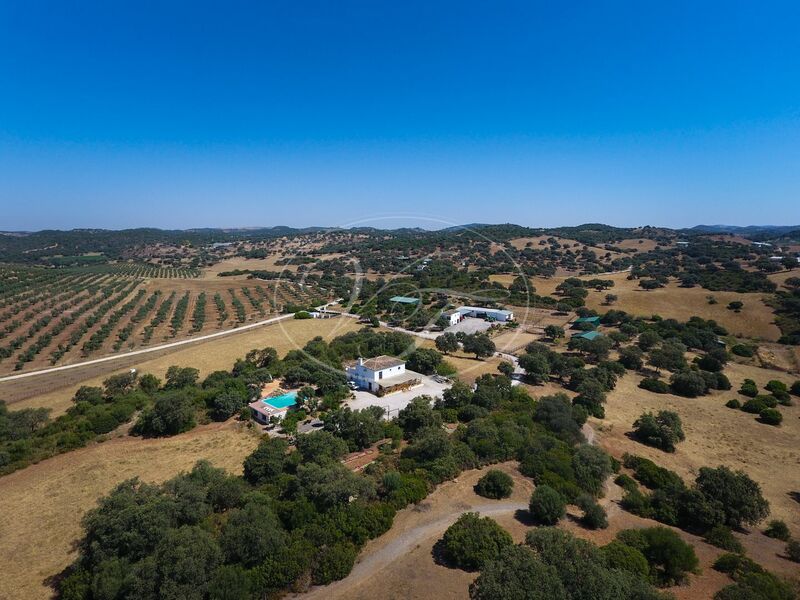 The farm has 15 hectares of land, mostly flat. 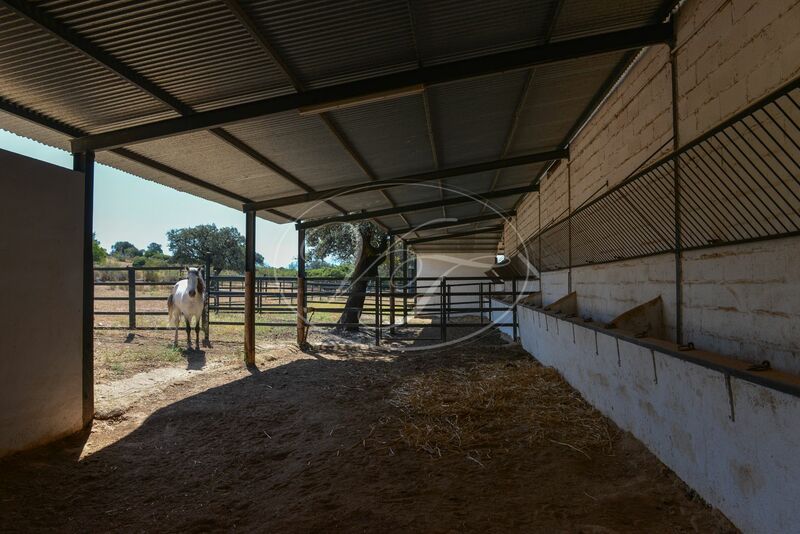 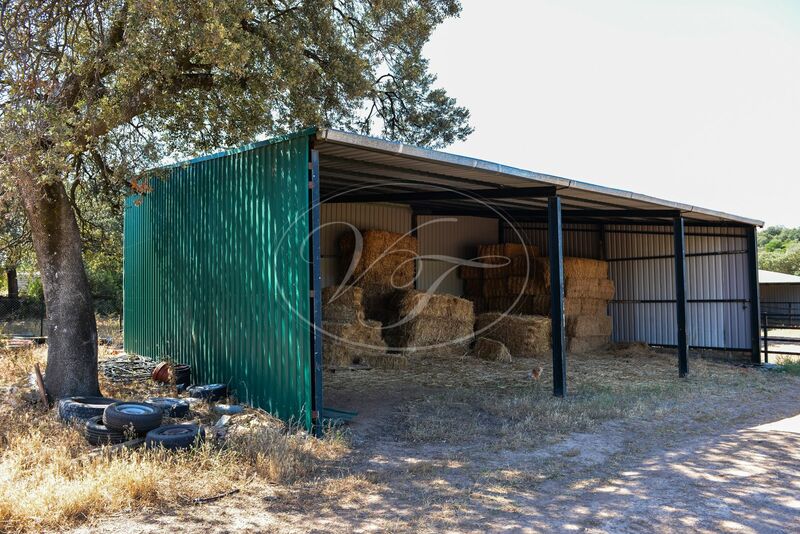 It has a 20m x 60m Geotextile arena (2017), 12 indoor boxes, with automatic watering – semi-enclosed boxes, lunge pen, hay storage and feed room, tack room and workshop. 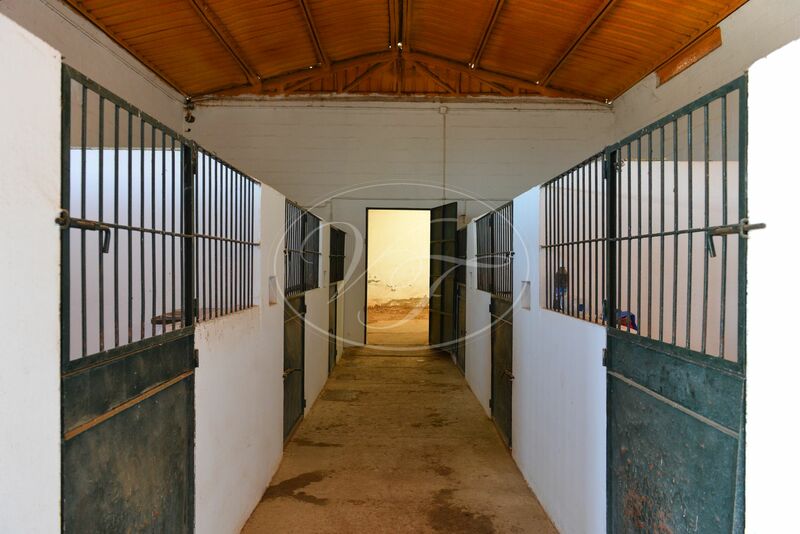 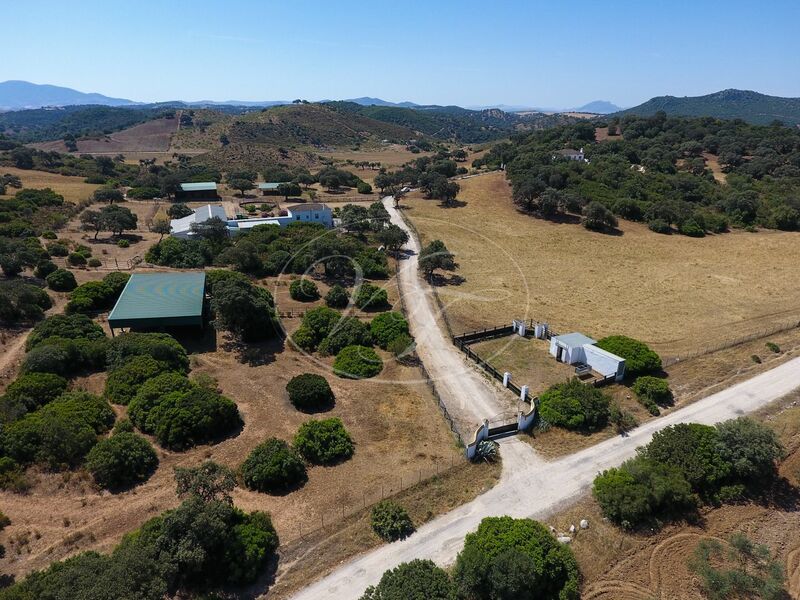 Furthermore, 2 large outdoor stables, all with automatic water, many paddocks and horse shelters. 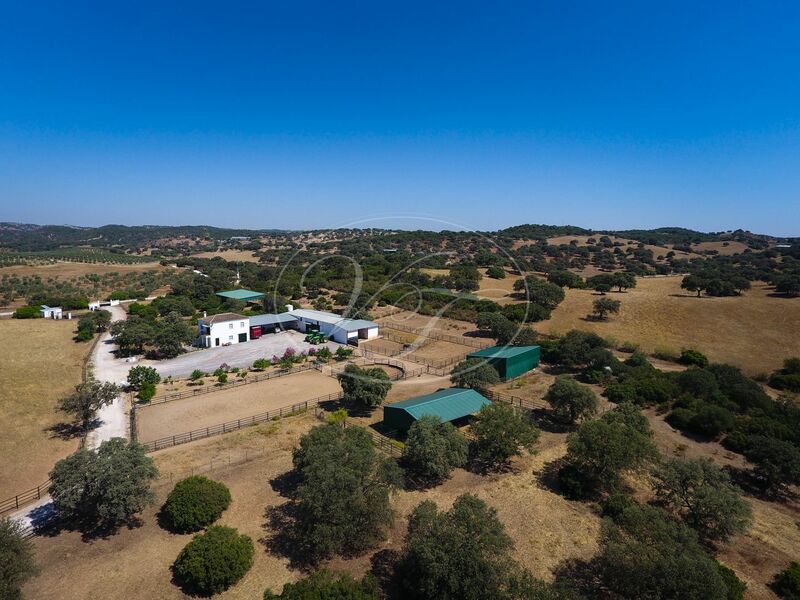 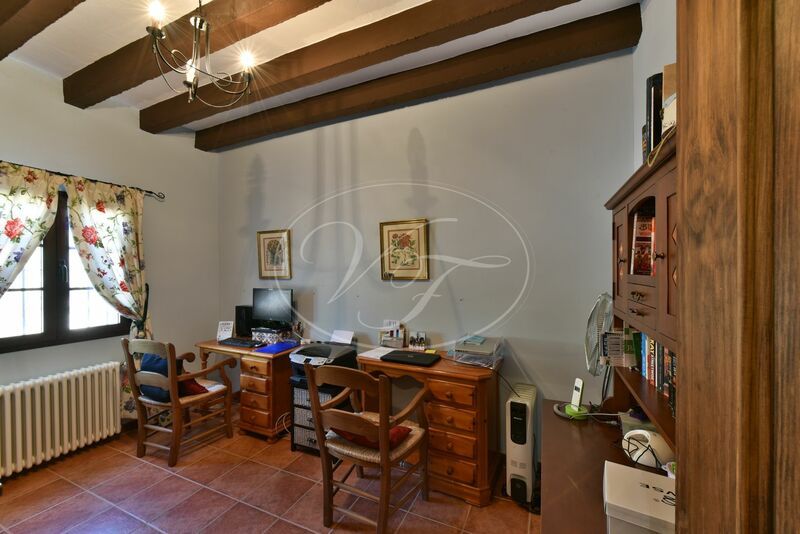 In addition, the property has two more buildings: The main house of 273 m2 distributed over two floors, on the ground floor there is: a hall, lounge/living room, bar, kitchen, pantry, storage room, bathroom and two bedrooms. 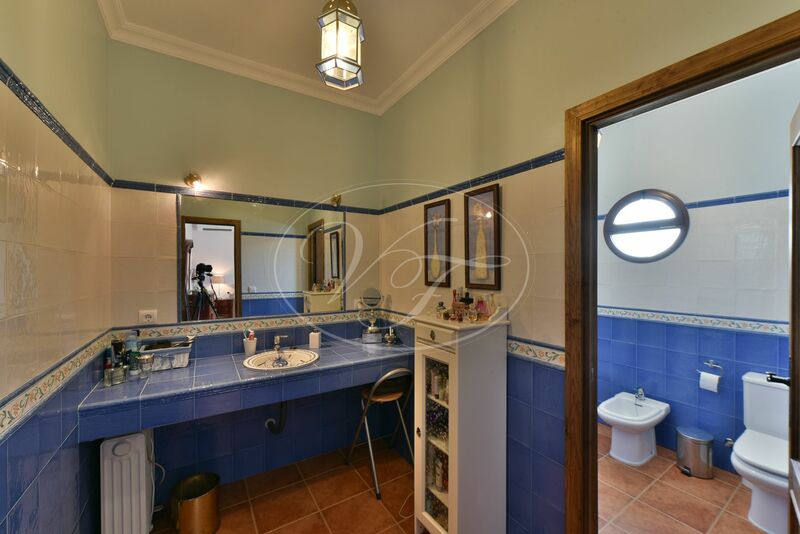 The first floor: distribution, two bathrooms, four bedrooms and an open terrace. 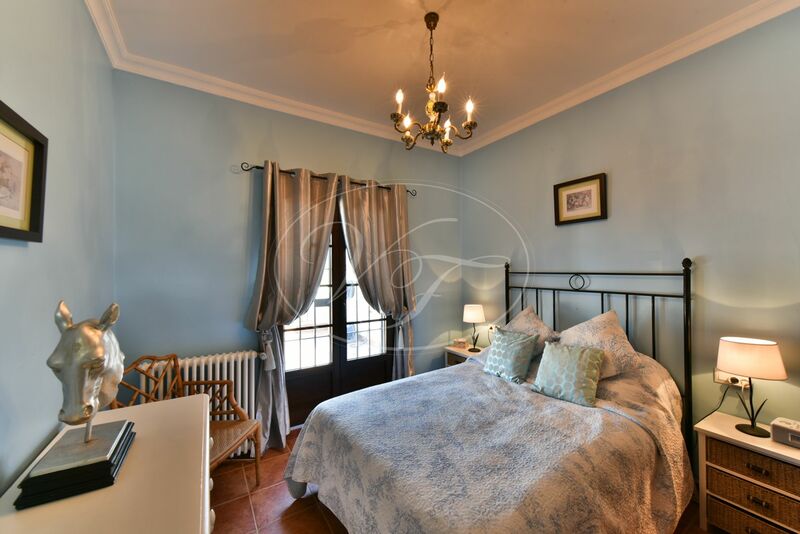 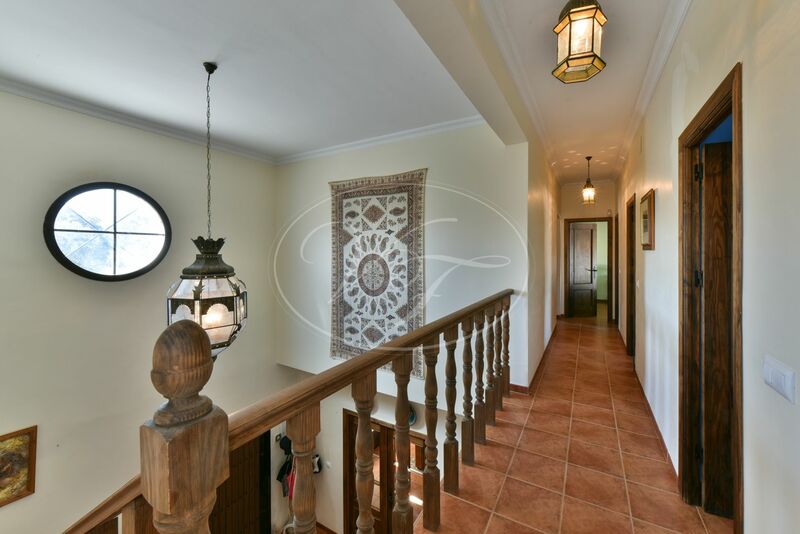 The guest house has 155m2 over two floors, the ground floor is distributed in garage, pantry and external staircase with access to the first floor. 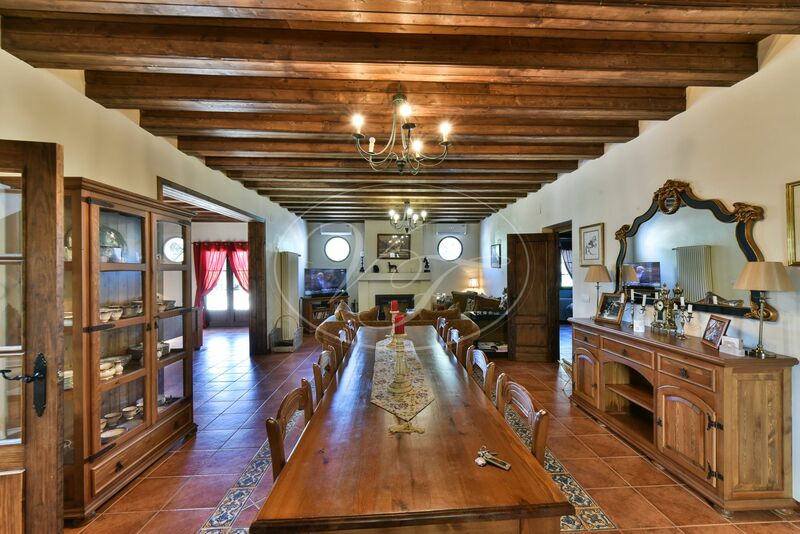 The first floor is distributed in living room, dining room, bathroom, kitchen and three bedrooms. 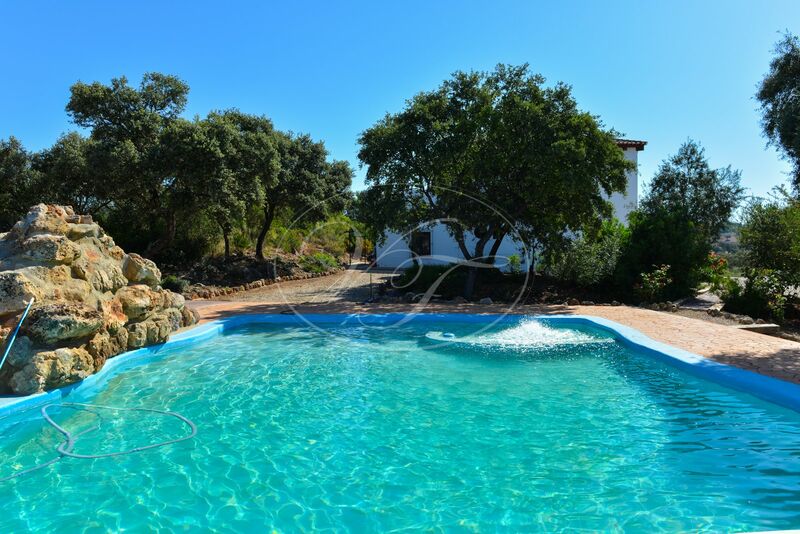 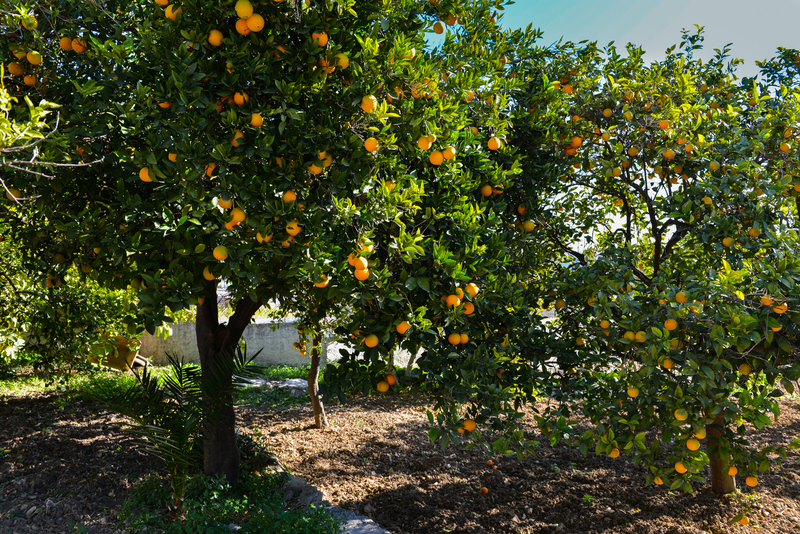 The finca is fenced and has a swimming pool, internet, satellite TV, a small park for children and minigolf. 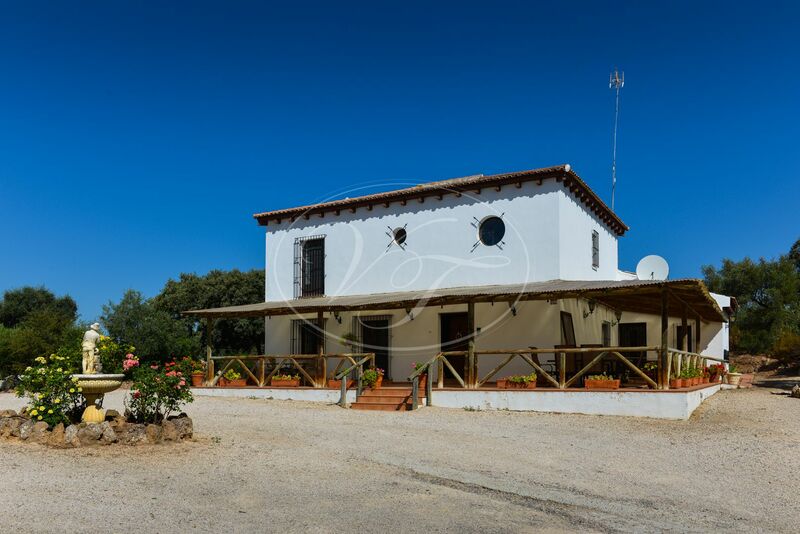 The property is connected to mains electricity, telephone, internet. 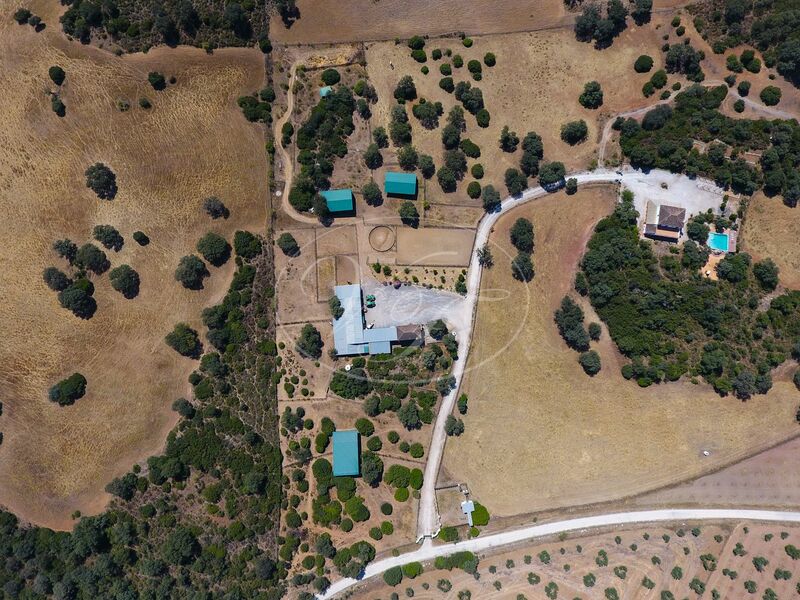 Has own water supply with 2 water wells. 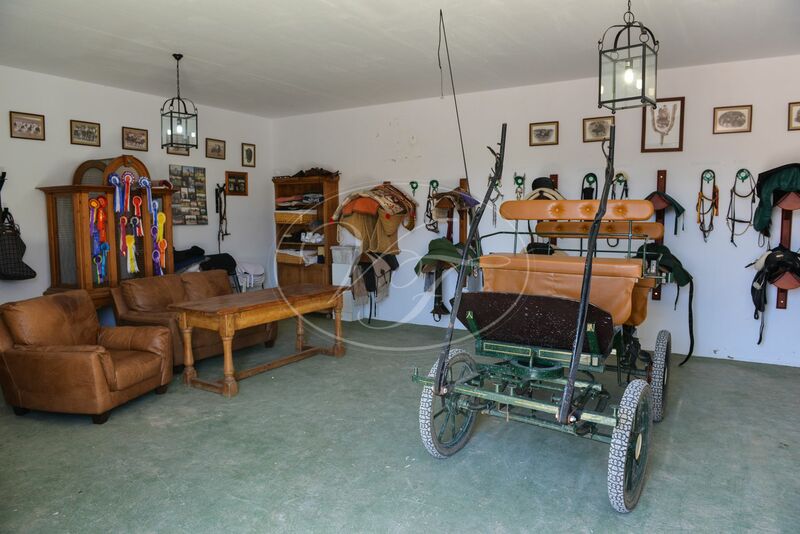 Without a doubt, a unique opportunity to enjoy the countryside in an unrivalled natural environment. 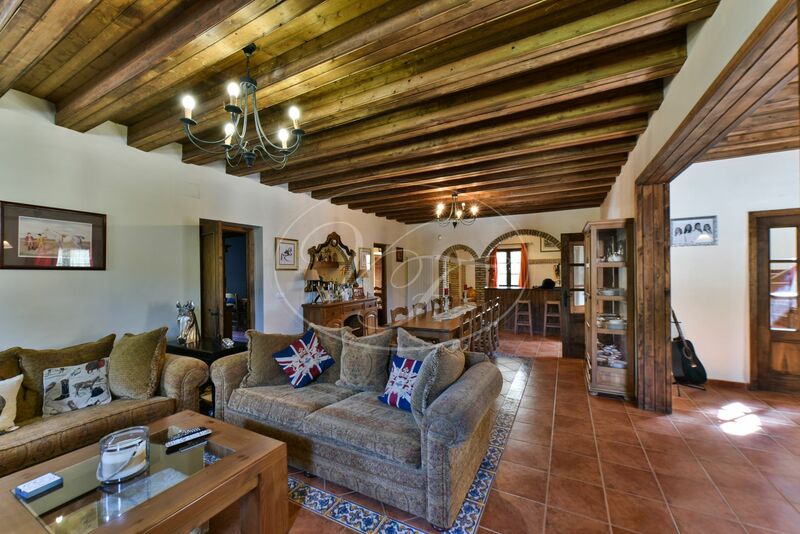 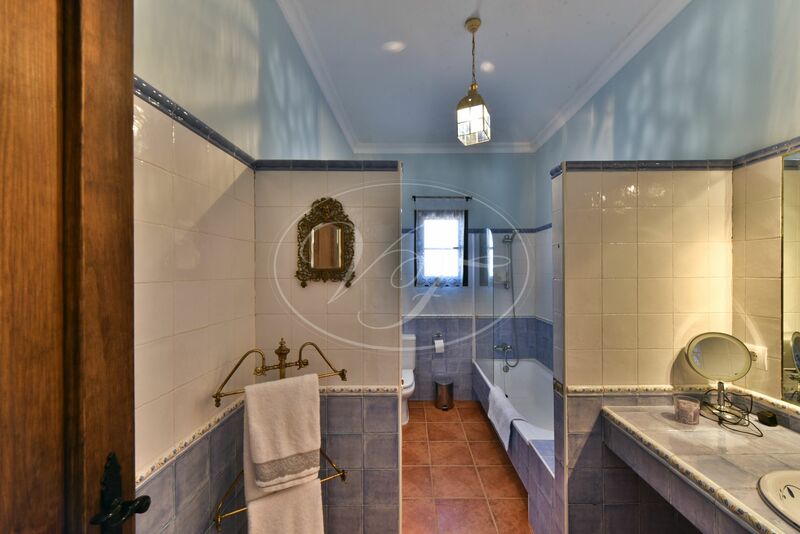 Please, send more information about ref 186-00671P, Country House in Seville or similar properties.